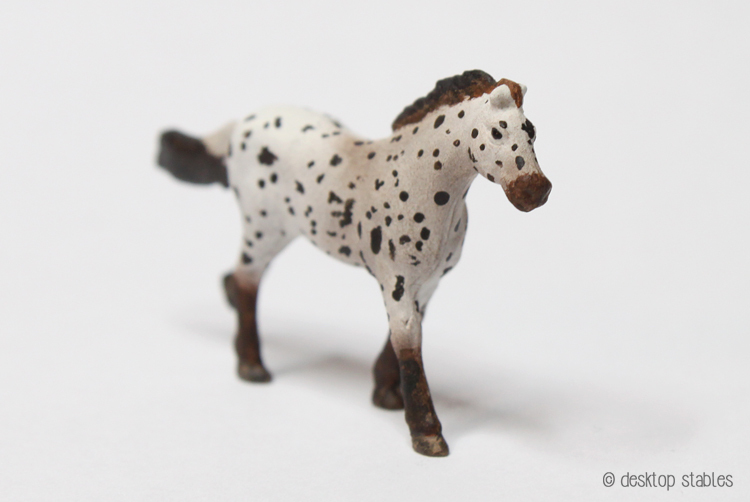 I am in the slow process of repainting a bunch of HO Scale horses. I wasn’t satisfied with their original paint jobs, so after sticking them to double-sided tape, I gave them all a blast of primer. That was uh… a couple months ago? 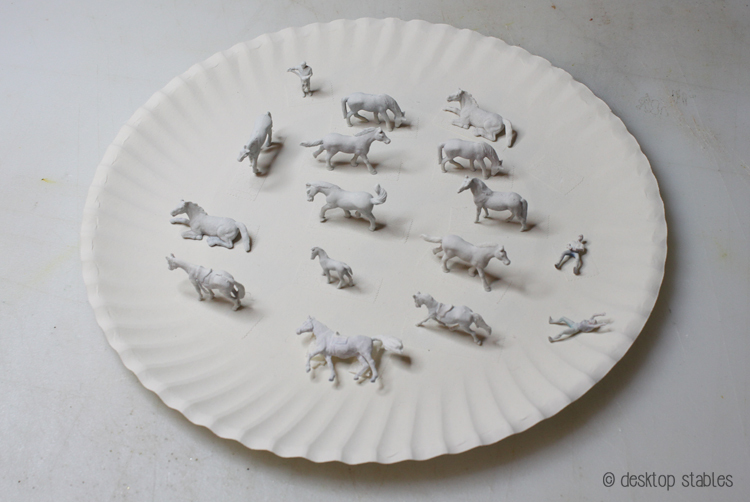 Today, while waiting for some other stuff to dry, I picked up the plate of ponies again and tried to decide how to paint them. 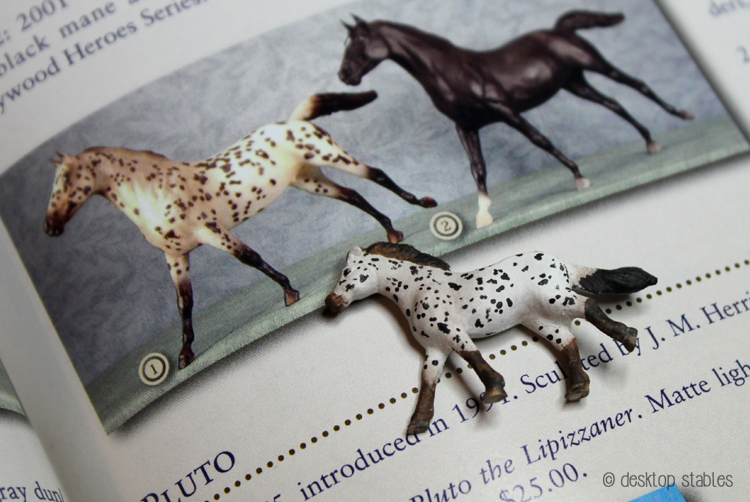 My original plan was to choose random horse colors but some of the molds reminded me of OF Breyers. 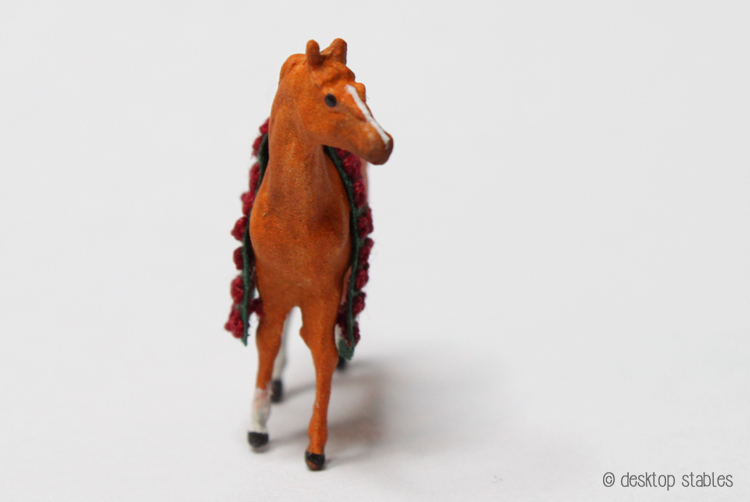 Sooo a mini Arapaho and Secretariat were born! With Secretariat I tried to keep that Orange-y color… I still think he’s a bit too bright but we can go with variations again right? Right! 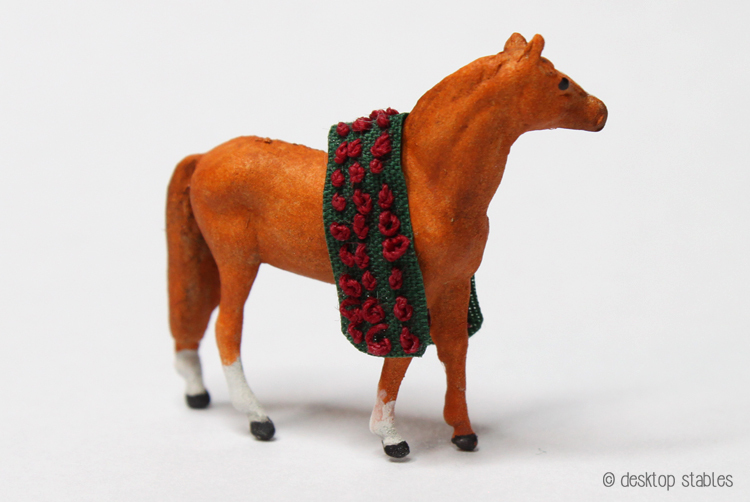 He looked a bit too plain so I added a tiny blanket of roses, like the one that was included with the 25th anniversary horse. This was made by embroidering dozens of french knots on a piece of green fabric. I haven’t decided on who the others will be yet… but that’s a project for another day! Hey girl, don’t allow yourself to be compared to another’s art style! Each person has been given a gift from The Lord God Almighty Jesus to utilize his or her own unique creative vent! You did a fine job and the main thing is you are happy in the work you’ve done (or are doing) and it gives you joy. 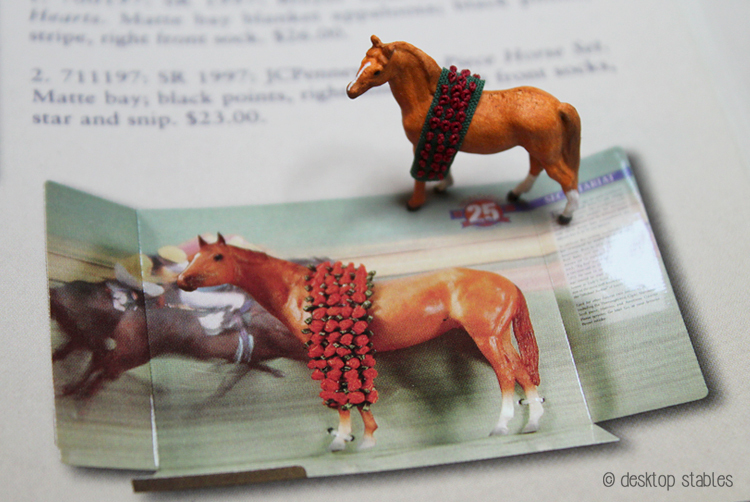 Yes, I agree the shape of those models did look similar to the Breyer figures. 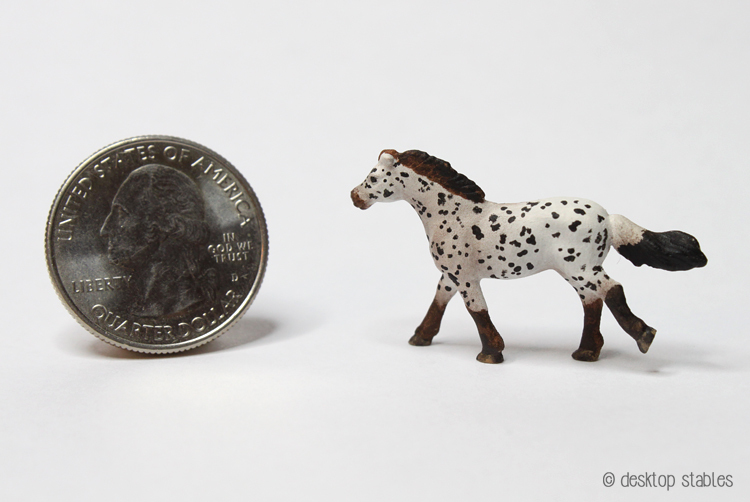 Your paint job is at the least equal to what Breyer does on its “Mini Whinnies” in fact in m y opinion the two you’ve done here are even better than the ones I currently have. One question I have is what are “HO figures”? Thanky. What does “HO” stand for? Or anything? Are they about the size of Breyer’s Mini Whinnies? Do you do any trading? Are there any models you may be interested in purchasing? I hear Marwari is being retired and I have an extra I do not need, looking for someone to adopt (purchase) it so I have more room for my other models. I try to collect only one of each mold and size Breyer has, been collecting since I was 4 or 5 years old (over 50years). 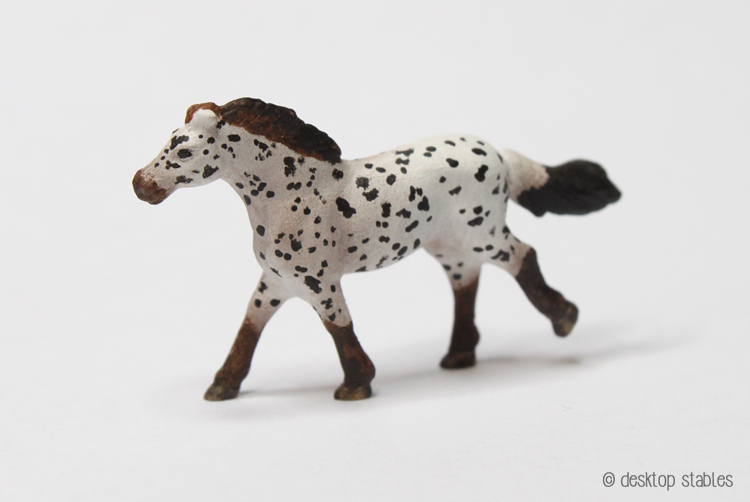 Love the mini horses! You have such a great talent! I would be interested in trading for the Marwari. I’ve been hunting for that guy. Oh, amazing miniature breyers! Love, love them. Clever you! Mine shall remain as bought. 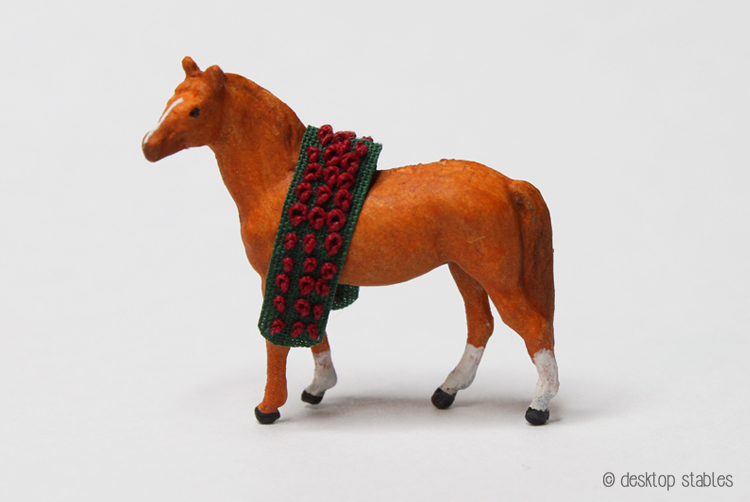 One kinda looks like the g2 sm stock horse….. They are so cute! Where do you get them? Thanks! All were purchased off of ebay. 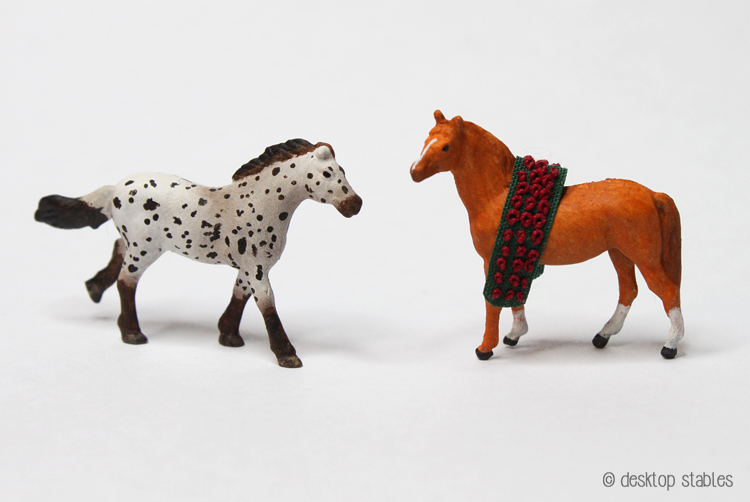 The tiny riders and horses with tack are part of a “Woodland Scenics” set, while the other horses were in a mixed lot. I don’t know the particular brand of those.